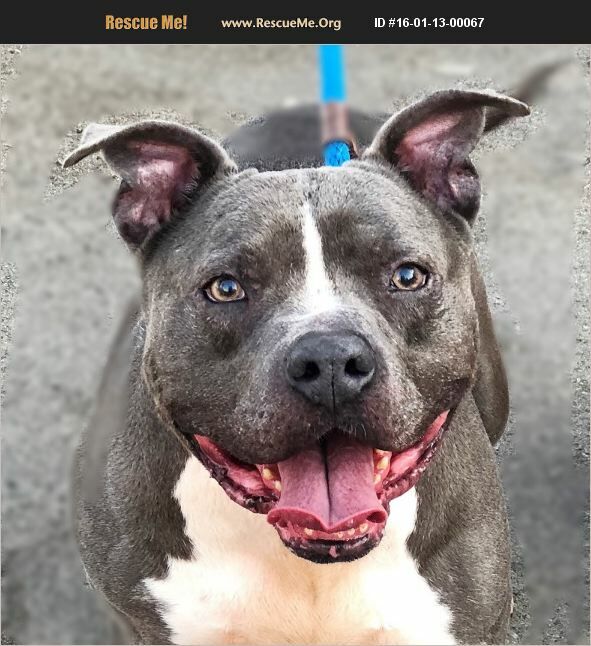 Meet Blue Boy, a very handsome, happy go lucky, and friendly 70 lb, 6 yr-old blue American bully mix. He was rescued from a high kill shelter and would love the chance to find that special someone who understands and appreciates him. He needs an active adopter and lifestyle with consistent exercise. He is neutered, with all shots, micro-chipped and has been professionally trained. Blue Boy's trainer will work with his new owner for successful transition to his forever home. Blue Boy is a strong, confident leader who will require an experienced alpha handler. He needs to be the only pet in an adult only household. Adoption application, home check, & fee required. Contact to schedule meet and greet with beautiful Blue Boy. He is currently located in Shelton, WA.